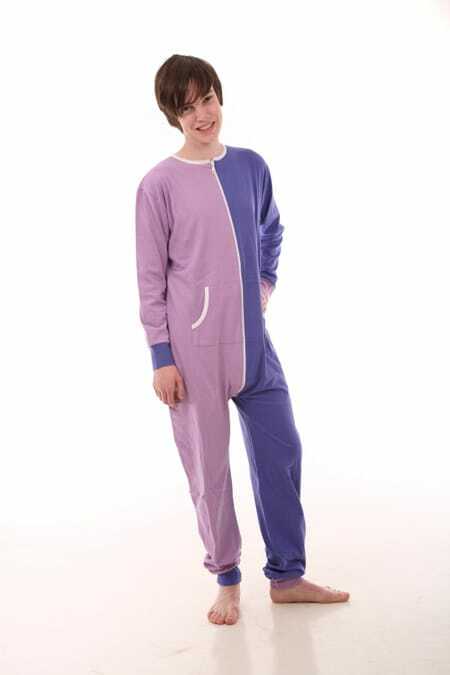 This is a two tone Royal Blue and Lilac funzee onesie. 100% cotton fabric, and unhooded for comfort in bed. This design was trialled in 2012 but we have since produced Royal funzee which is Blue and Gold 2 tone and seems to be more popular. Shall we bring it back?